Bibby Distribution is installing in-cab cameras in all its trucks at a cost of more than £1 million. There are two cameras: one faces the driver and another monitors the road ahead to provide a complete picture for every journey. Adam Purshall, head of fleet and procurement, said: “We’ve invested in this new technology because it’s the right thing to do; the safety of our drivers and the goods we transport for customers is absolutely critical. It plans to uses the footage as a training tool for drivers operating Bibby Distribution’s 650 tractor units and rigid trucks. 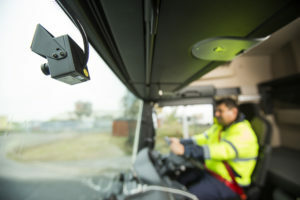 The two cameras will be integrated with Bibby Distribution’s existing full fleet telematics package from Microlise, which the company currently uses to identify and tackle driver behaviours such as harsh acceleration and braking.